When it opens in June 2019, the Plinth will be the first space on the High Line—and one of the only sites in New York City—dedicated solely to a rotating series of new, monumental, contemporary art commissions. 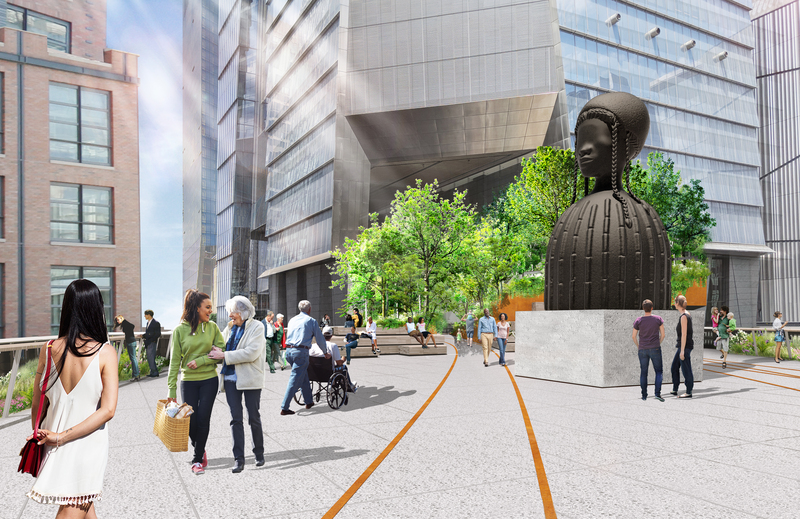 The Plinth is located on the newest section of the High Line opening at 30th Street, where a large open space will offer sweeping city views. Artworks selected for the Plinth will thus become part of the cityscape itself, remaining on display for 18 months. The High Line Plinth is a new landmark destination for public art, designed as the focal point of the Spur, the newest section of the High Line. 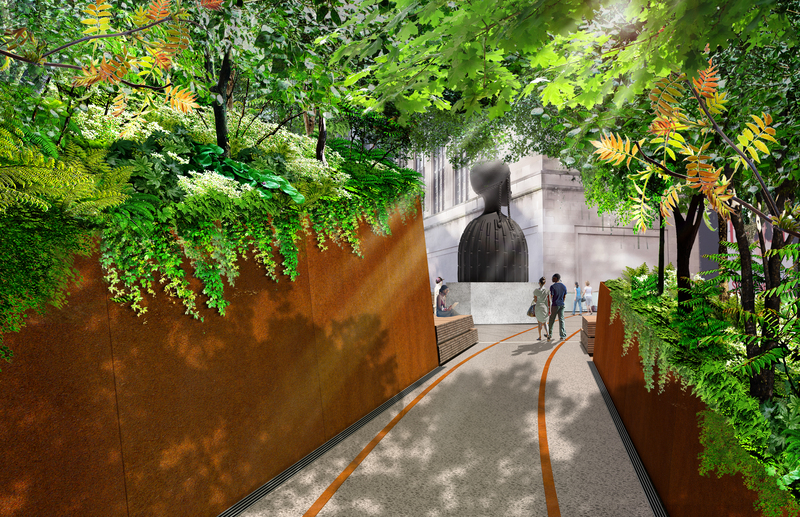 Unlike most of the other sections of the park where visitors are moving along thoroughfares, the Spur is conceived as a natural gathering space. The Plinth will serve as an anchor at the center of this piazza, creating a dialogue with the towering skyscrapers and arresting vistas of the immediate surroundings. 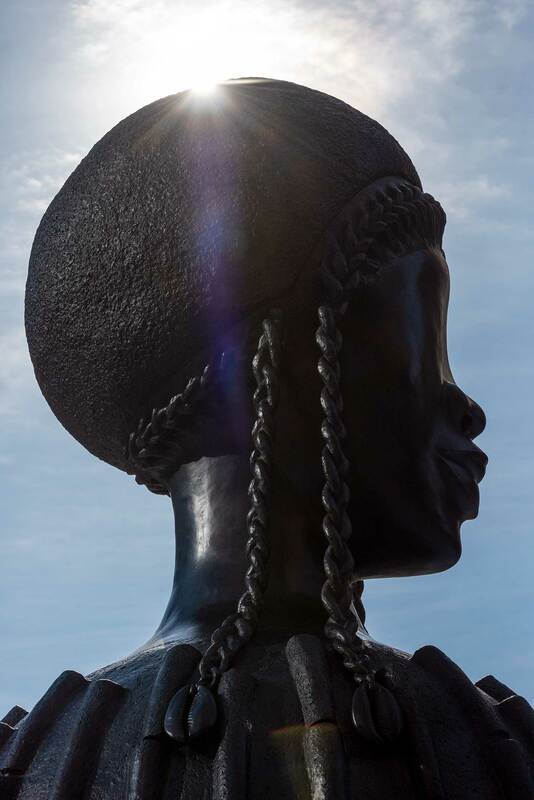 As the first location on the High Line that is solely dedicated to the presentation of art, the High Line Plinth provides artists an incredible opportunity to realize new and ambitious commissions on a scale rarely seen in the public sphere in New York. 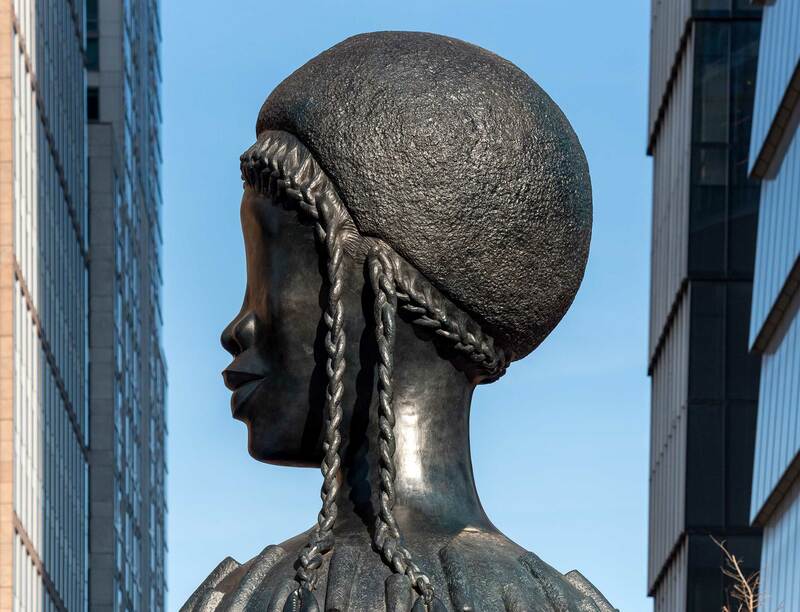 Inspired by the Fourth Plinth of Trafalgar Square in London, the large scale and high visibility of the Plinth offers artists a unique platform to inspire a diverse public audience and contribute to the ever-changing conversation around contemporary art and monuments. The inaugural High Line Plinth was initiated by an international advisory committee of 13 artists, curators, and art world professionals who each submitted recommendations of artists to invite to submit a proposal for the Plinth. Twelve proposals were then selected from the initial group of fifty. 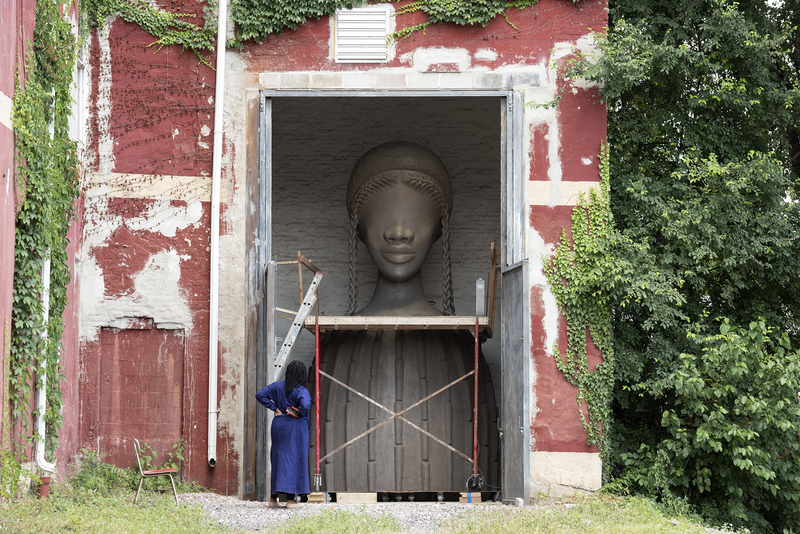 Simone Leigh’s Brick House, known as Cupboard VII in the proposal stage, was ultimately chosen as the inaugural High Line Plinth Commission. Brick House will be unveiled at the opening of the Spur in 2019 and will remain on view through September 2020. Learn more about the 12 shortlisted proposals, selected from an initial group of 50, for the inaugural High Line Plinth. Artists create participatory, dynamic performances and transformative experiences that take advantage of the High Line’s great setting.